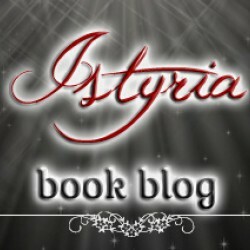 This review was originally posted on my blog: Istyria book blog. *I received a free copy of this book from the publisher via Edelweiss. Thank you! *This book so utterly unique and engaging, that it haunted me when I wasn't reading. I thought about it the whole time, eager to go back to the book and find out more. Not many books can do that, but this one can. And I am so glad that it lived up to this expectation! Actually, it exceeded my expectations. I've never read anything from Risa Green before, I didn't even know her, so it was a risk to have all those expectations. That does not always pay off, but in this case, it did. This book was brilliant.In the first chapter of this book we get introduced to two women, Gemina and Amphiclea. They live in Ancient Rome and Gemina talks about Oculus and Plotinus and trading souls and how Plotinus will learn that to Gemina. After that we jump to the present, two years ago. We meet Gretchen Harris and her friend Jessica. On their 8th grade graduation party Gretchen's mother is murdered. Everyone suspects a struggle within the Oculus Society: Delphi's version of the Junior League. But there's more to that then meets the eye. A few weeks later, Jessica tells Gretchen about a guy named Plotinus and how he could separate his soul from his body and even trade souls with someone buy kissing the other one. When they try that out Ariel Miller, an outcast from their class, films the kiss without knowing their motives. The video goes online and the girls disappear from Delphi. Two years later, they are back with a plan. Ariel is now very popular and most of the time, we're reading her POV. She becomes a pawn, suspect and a big part of their scheme to find out who killed Gretchen's mother and bring the murderer to justice. I really really liked this book. It had me hooked from the first sentence to the last. It made me curious and kept me guessing until the very end. Every time I thought I knew who did it, I was wrong. Not predictable at all. The writing was really great. I was a bit worried about the projection-stuff. I knew it would be awesome if it was well-executed, but since I didn't know Risa Green, it was a risk. But like I said, it payed off. It was done so brilliantly and it's so original. I honestly never read anything like this before. The mythology mixed with the mystery worked very well. I also liked the switching between times. First chapter is centuries ago in Ancient Rome, then two years ago in Delphi, California and about a hundred pages later, it switched to present day but we still got more background from Plotinus and Gemina. I really loved that. So fascinating! The characters were so awesome. They are very realistic and there wasn't any Mary Sue in sight. I loved Gretchen, Jessica and even Ariel. They were all so relatable! I loved all of them. I was so invested into their story that, like I said, it haunted me when I wasn't reading. I wanted them to solve the mystery and find out who killed poor Gretchen's mom. So so SO good! And all the other characters were relevant. There wasn't any character in this story that made me think: 'Well, the story would've still been great without him/her.' Not a single one! To conclude this review, I recommend this book to everyone who loves an original and engaging book, full of mystery and mythology. Even if you're not that into Greek mythology, I'm sure you'll like this book. But beware, it may not let you go until you finish it. So get cozy, clear your schedule and read the book.